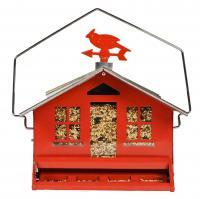 Cream-colored chalets, classic red barns, pagodas and miniature blue churches are just a few of the shapes and shades a hopper feeder comes in. 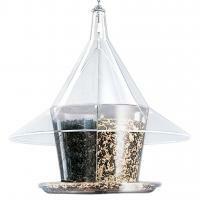 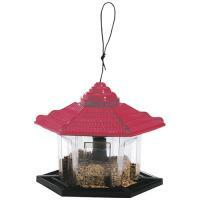 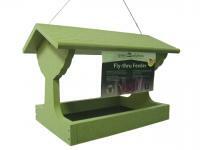 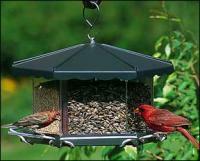 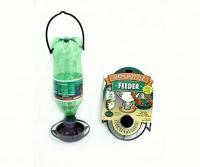 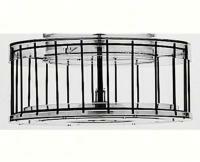 Designed to be hung from branches or a deck awning, a hopper bird feeder, which is typically enclosed, gives birds a feeling of security and comfort. 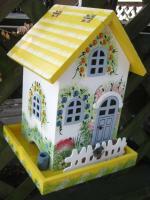 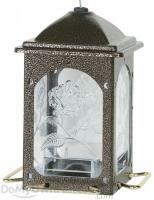 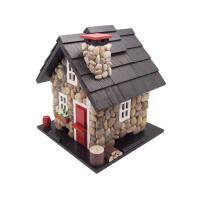 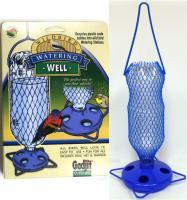 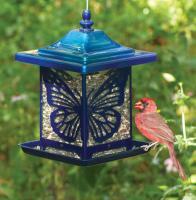 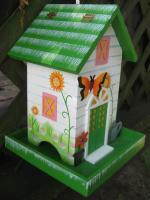 It also adds an element of tasteful décor to any garden, backyard or patio. 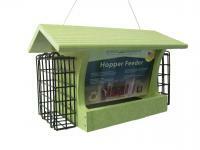 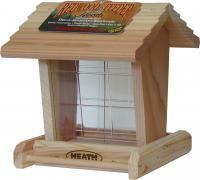 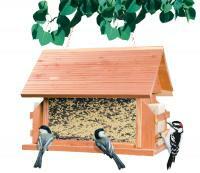 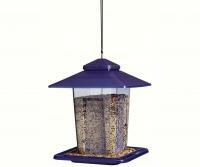 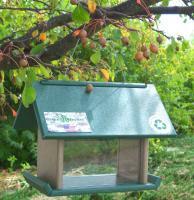 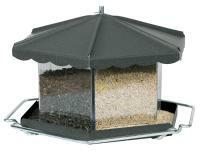 A hopper feeder is roomy and holds large quantities of seed, making it ideal for attracting a flock of birds, as well as some of the more reticent species, like blue jays and woodpeckers. 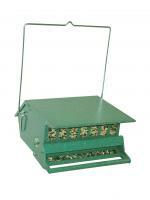 And remember, each hopper feeder we sell is backed by our 30-day money-back guarantee, ensuring that you’ll be satisfied with your purchase.